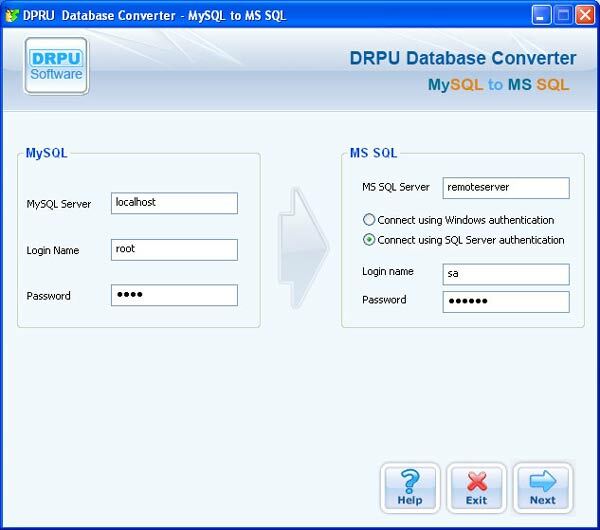 MySQL to MSSQL Database Conversion Tool provides easiest way to convert your MySQL created database records into Microsoft SQL database server in few minutes time. Database Conversion Utility has full support of table’s structure with rows and columns, key constraints, indexes, data types and attributes. Data Doctor’s MySQL to MSSQL Database Migration Software converts full structured database as well as tables (either whole or selected tables) from MySQL database server to Microsoft SQL database. New records can be inserted; existing records can be viewed, updated, modified, altered and deleted very easily after the database conversion. Easy to use and install database converter software proves to be a powerful tool for the database conversion as it converts the database records in a systematic manner provided with excellent GUI interface. 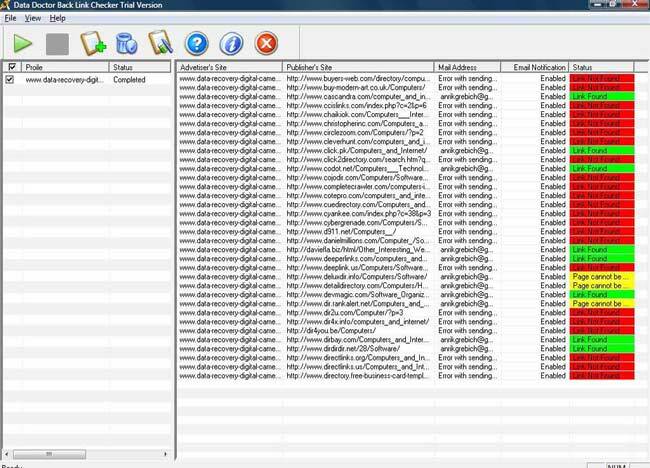 Popular link analyzer tool also generates reports in HTML and TXT format, containing date, time, link scanning overview (total link present, total link absent, link found on, link not found on) and scanning result (advertiser’s site name and publisher’s site name). Powerful site management tool displays alert message or send email to the user if site is unavailable, link status not found or advertiser page can’t be displayed on the publisher’s website. Converts the database records created in MySQL to MSSQL server in a structured manner without loss of any information. Facilities to overwrite the converted database records into existing database records or saves the records at user specified location. Highly interactive provided with user friendly Graphical User Interface. Help manual is provided to minimize problems of the user.